It is estimated that more than 80 million people in North America snore while sleeping.Spouses and children are often repeatedly disturbed during their sleep cycles by a snoring family member, which can lead to tensions and animosity. 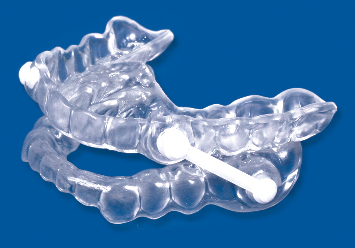 Snoring can kill you, according to a UCLA School of Dentistry study: the struggle for breath can result in soaring blood pressure which can damage the walls of the carotid arteries and increase the risk of stroke.Fortunately, using the Silent Nite snore prevention device, dentists can now provide most persons with cost effective relief. To view a Silent Nite brochure with more detailed information, click here.